Rumors of the demise of the iPod classic were greatly exaggerated, and Apple's new iPod shuffle has gained compatibility with more third-party headphones. Apple increased the capacity of its only remaining hard drive-based player to 160GB Wednesday. The new model carries the same price as the old 120GB offering: $249. It is advertised as carrying 40,000 songs in your pocket. Ironically, the 160GB model equals one offered two years ago, when the new "classic" moniker was unveiled and sizes of 80GB and 160GB were released. Last year, the line was cut to just one 120GB model with an internal drive smaller than the 160GB version that was discontinued. The new 160GB model has the same "thin" profile as the previous 120GB offering. Though a rumor weeks ago had suggested the classic might add a camera, along with the iPod nano, that report —along with claims of an iPod touch with camera —proved false. The latest update to Apple's self-proclaimed "world's smallest music player" will gain compatibility with more headphones, as the previous iteration's tethered controls were proprietary-only. "The first music player to talk to you" is available starting at $59 for a new 2GB model, and comes in five colors. The 4GB model costs $79, and is also available in silver, black, pink, blue and green. There will also be a stainless steel special edition with 4GB of capacity, priced at $99. While last year's version of the iPod shuffle previously required either the official Apple Earphones or In-Ear Headphones with Remote, the company will now license out hte controls to other manufacturers. Announced Wednesday were offerings from Sony, V-MODA, Klipsch, Scosche with built-in headphone controls, while Belkin and Scosche will offer built-in headphone adapters that will allow any headphones to work with the hardware. 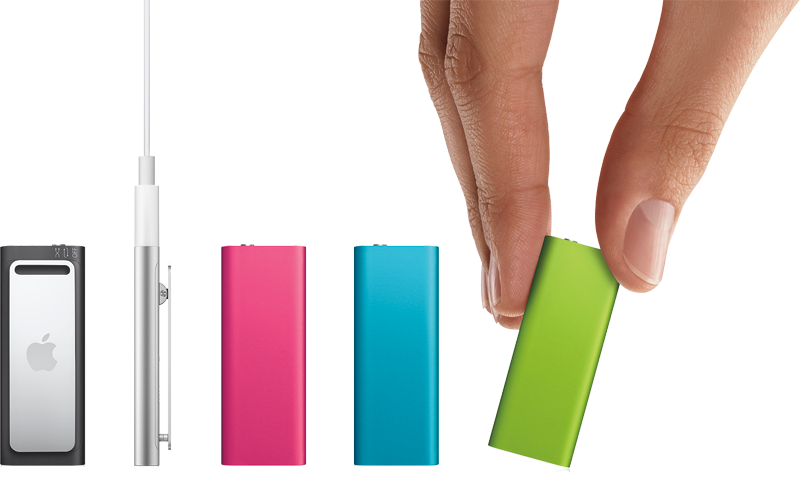 "iPod shuffle is the world's smallest music player and now comes in five great colors starting at just $59," said Philip Schiller, Apple's senior vice president of Worldwide Product Marketing. "iPod shuffle is so small that you almost forget it's there, yet remarkably, it holds up to 1,000 songs and talks to you." 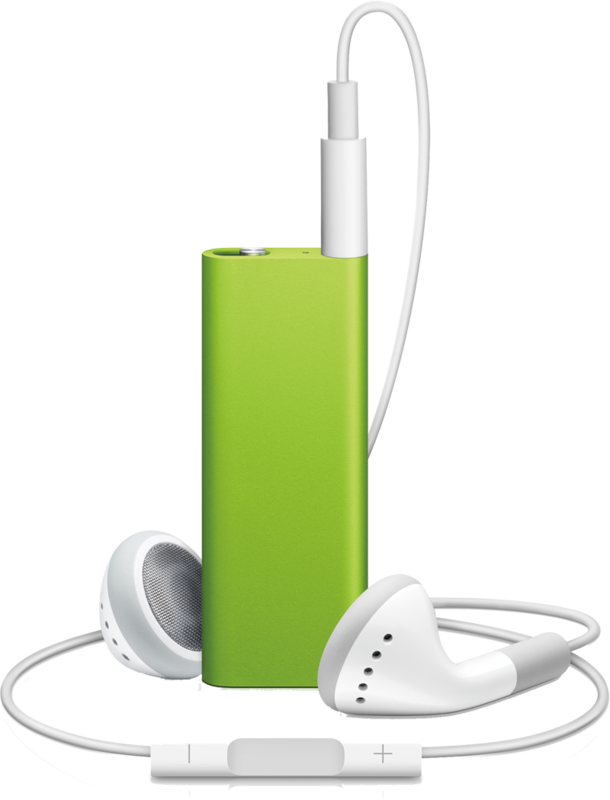 The iPod shuffle is based on Apple's "shuffle: feature, which randomly selects songs from your music library. The device features a wearable design with a built-in stainless steel clip. iPod shuffle users can easily clip it to almost anything and take it everywhere.